← I admit it, I’m a scaredy cat! I recently learned about a great competition for outdoor products being made in America. The American Made Outdoor Gear Award is the brainchild of the paddling firm Kokatat, where 150 members of our extended American family have been making all things related to paddling and kayaking since 1971 under the leadership of Kokatat founder and president, Steve O’Meara. I wrote about Kokatat in 2013. Each year Kokatat awards the American Made Outdoor Gear Award to the company with the best “Made in America” story. The American Made Outdoor Gear Award trophy is known as Sassy, which may stem from the fact that the trophy is a hand carved, 3-foot-tall redwood Sasquatch. One of my favorite Washington manufacturing firms, Liberty Bottleworks, won the Sassy in 2013. Kokatat organizes the Sassy competition in a logical manner. There are four categories of companies: companies with less than 11 employees, companies with 10-50 employees, companies with 50-100 employees and companies with 100+ employees. As many as 300 American outdoor gear manufacturing companies seek to compete for the Sassy in each category! Category winners each year get a smaller Sassy to show off in their office. The companies in the running for awards this year were as follows. The American Mountain Company makes very cool coats, sweaters and gloves for those Americans that like to climb to the highest peaks. Topo Designs makes all sorts of outdoor gear in Denver, CO. I have my eye on their fleece jacket. The jacket is sewn in Denver of Polartec fleece made in Lawrence, MA. Vedavoo makes packs and other gear in Lancaster, MA. A lot of their products are designed for fishers, which I am not. But their Tightlines Sling Pack looks like it would be great for carrying my iPad mini around town. Voormi makes wonderful Merlino wool garments in Pagosa Springs, CO. By using their Wool.Unteathered process, Voormi’s wool garments are amazingly soft and machine washable! I would love to get myself a Men’s Drift Jacket. Members of our extended American family working at Zootility in Sommerville, MA make the amazing PocketMonkey tool that has ten different (screwdriver, phone stand, hex wrench…) features. You need a Pocket Monkey and at ten bucks it’s a steal! Hyperlite Mountain Gear employees produce great tents, packs, sacks and other gear in Biddeford, ME. If my old Moss tent ever gives up the ghost, I might need to buy a Hyperlight Echo II Ultralight Shelter System. Misty Mountain climbing gear is produced in a town in North Carolina with the lyrical name of Banner Elk. I am a hiker, but if I ever do decide to get into climbing, the first thing I am buying is a Misty Mountain Cadillac climbing harness. United by Blue makes all sorts of cool clothing and bags in Philly, but I was immediately drawn to their Gram Axe. I could use it for cutting up fire wood harvested from the forests of the Pacific Northwest. Sylvan Sport of Brevard, NC makes GO trailers to haul anything you want and when you get to where you are going, the trailer transforms into the coolest camper you could imagine. Definitely check out the videos on Sylvan Sports website. Dahlgren Footwear, produced in West Linn, OR makes super socks for hikers like me and you. Did you know that your foot produces one pint of perspiration a day? Dahlgren Footwear socks are great at wicking that perspiration away. And they are pretty stylish as well! Duluth Pack, surprisingly located in Duluth, MN, makes all sorts of cool packs and bags in their factory that has been in operation for over 125 years. I would say my favorite is the Scout Pack; very old school. Polar Bottle has been making their insulated water bottles in Boulder, CO since 1994. They make models from 12 oz to 24 oz, a custom 24 oz bottle and an 22 oz Ergo bottle. Pretty snazzy bottles huh? Sterling Rope makes their outstanding climbing ropes in Biddeford, ME. 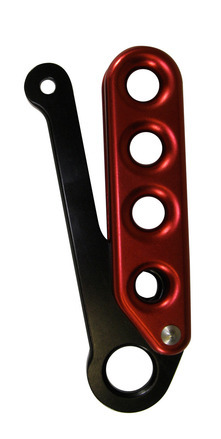 As I said before, I am not a climber, but if you are, you should check out Sterling Rope. And don’t leave the summit without a Sterling Rope F4 Decent Device! I featured Stormy Kromer on a post on my blog two years ago, so I was glad to see them as a finalist for the Sassy. Ya just gotta love their hats! 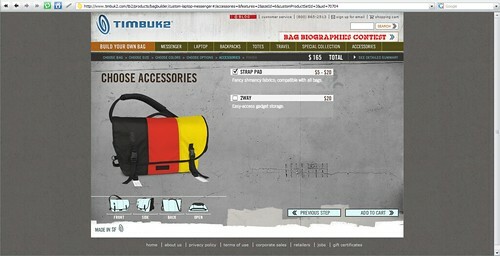 Timbuk2 sources a lot of their bags from overseas, but if you order one of their custom bags, it will be built in San Fran. You could go with a USA bag, or a German Bag. Or any other bag you could possible think of. It’s up to you. Cascade Designs is the umbrella firm for a bunch of outdoor brands whose products are manufactured in my hometown of Seattle. Therm-a-Rest makes the world’s best sleeping pads for backpacking. I have a NeoAir Trekker like the one pictured below. Platypus makes great hydration products; my favorite Platypus product is their GravityWorks filtration system which lets gravity, as opposed to you, do the work of filtering your water. Hummingbird brand bags are super durable. If you need rugged bags that keep your stuff dry, look no further than the Hummingbird Carousel Zip. SealLine is the firm to know if you are into kayaking or other water sports. But even for Landlubbers like me, SealLine has lots of products I could use like their Seal Pak Waterproof hip pack. 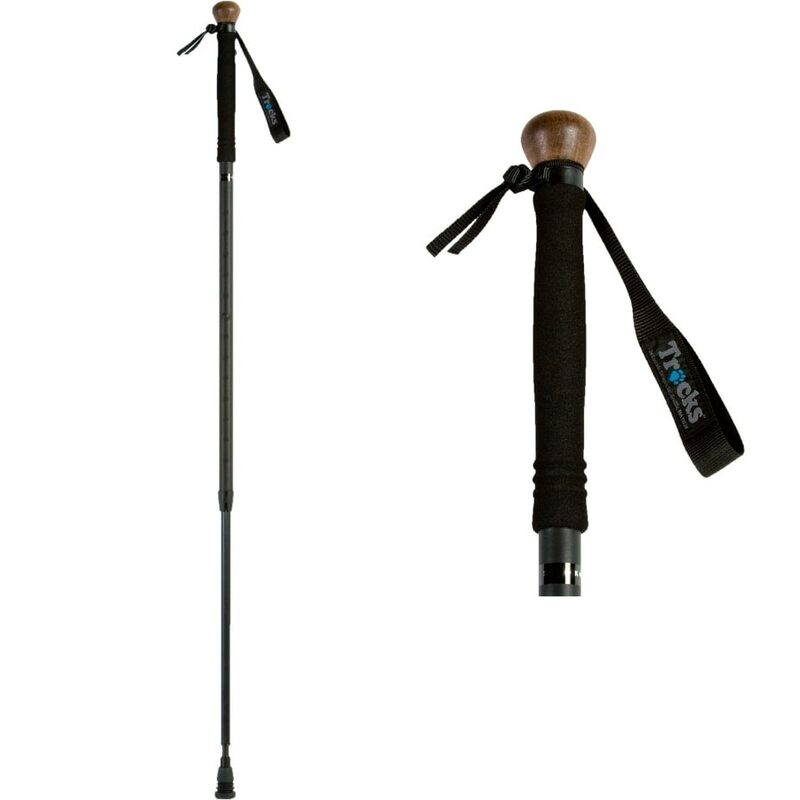 Given the appalling state of my knees, hiking poles or a staff are required equipment for my hiking trips these days. Tracks hiking staffs are very nice; I think a Sherlock staff is in my future. Jackson Kayak, makes all sorts of kayaks in Sparta, TN: whitewater kayaks, fishing kayaks, kid’s kayaks, you name it. 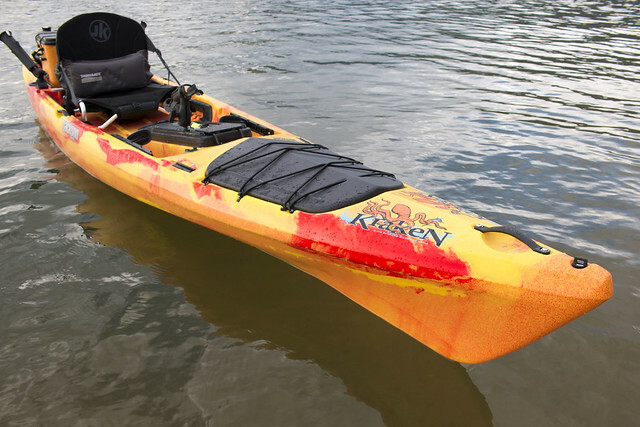 I think the only Jackson Kayak model for a fella like me is the Kraken. The Lion’s share of L.L.Bean’s products are made overseas, but they still make a lot of boots in Maine, along with some bedding. I would parade around in a pair of Bean Boots. How about you? but they make so much other great stuff: tables, chairs, outdoor storage sheds, outdoor furniture, playground equipment and kayaks. Some Lifetime Products tables would come in handy today for your Superbowl party. You could load it up with all sorts of goodies. We all want to be satiated when we see this again this evening. And the Grand Prize winner is……….. Cheers to all those American firms making great outdoor products that entered the 2015 American Made Outdoor Gear Award competition, congratulations to the category finalists, the category champs and the overall champ Sterling Rope. This entry was posted in Hiking, Oregon Products, Outdoor Activities, recreation, Seattle, socks, Washington State Products and tagged American Mountain Company, Cascade Designs, Dahlgren Footwear, Duluth Pack, Hummingbird bags, Hyperlite Mountain Gear, Jackson Kayak, Kotatat, Liberty Bottle Works, Lifetime Products, Misty Mountain, Platypus, PocketMonkey tool, Polar Bottle, Princeton Tec, SealLine, Sterling Rope, Stormy Kromer, Sylvan Sport, Therm-a-Rest, Timbuk2, Topo Designs, Tracks hiking staffs, United by Blue, Vedavoo, Voormi, Zootility. Bookmark the permalink. 4 Responses to And the winners are! Sorry about the delay Lizzy; way to go. If you guys would like, I would be willing do a post about your firm. Let me know. We’d love for you to do a post on our company! Thanks. And sorry about the delay in responding. I replied via email, which didn’t seem to go anywhere. Lizzy: Send me an email next week (www.simplyamericanbriggs@gmail.com) and we can get working on the info I would like in order to do a first rate post on you guys.